Nobody reinvents baseball. Right? Moneyball follows the attempt by Oakland A's general manager Billy Beane to do just that. 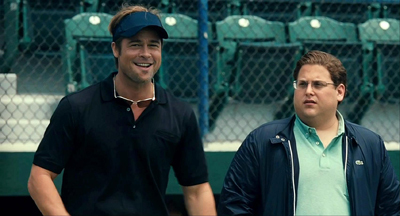 Brad Pitt and Jonah hill received Oscar nominations for their engaging performances of the A's renegade braintrust. Overcome your meager payroll to achieve greatness on this quiz - how well do you know Moneyball?